You have to have some­body in mind as an audi­ence oth­er­wise there‚Äôs no point. Some peo­ple pre­ferred my first period songs. Some, the sec­ond. Some, the Chris­t­ian period. Some, the post Colom­bian. Some, the Pre-Raphaelite. Some peo­ple pre­fer my songs from the nineties. I see that my audi­ence now doesn‚Äôt par­tic­u­lar care what period the songs are from. They feel style and sub­stance in a more vis­ceral way and let it go at that. 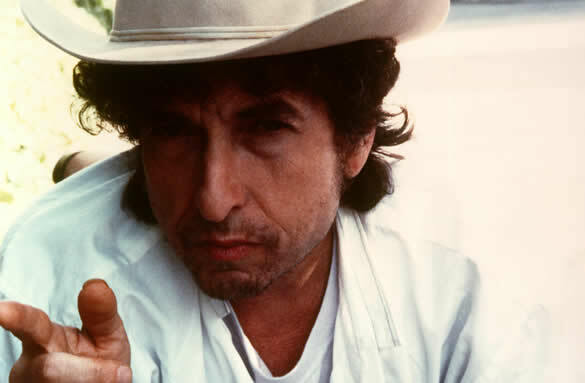 What do you think Dylan is say­ing about the impor­tance of style?